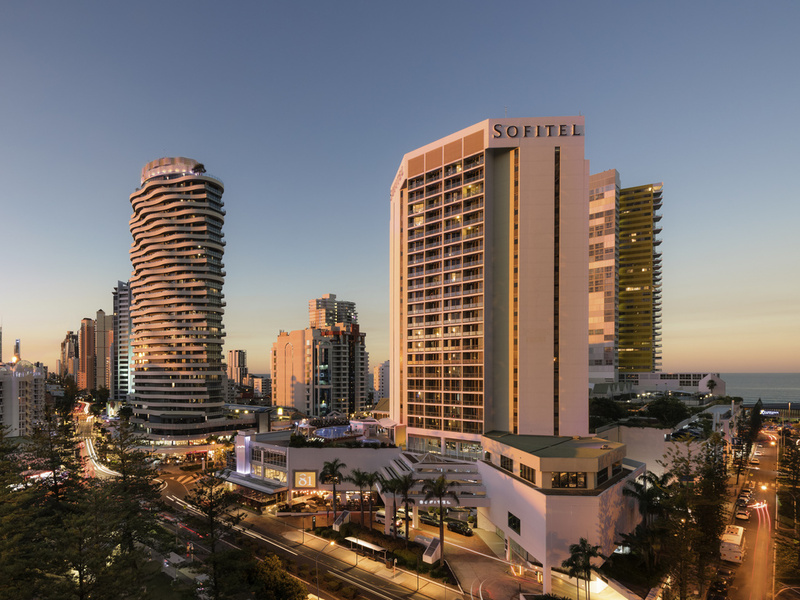 Situated in the heart of the Gold Coast in beautiful Broadbeach, Sofitel Gold Coast Broadbeach offers the ideal base for both business and leisure travellers. With its superb location just 200m from the beach, this spectacular Gold Coast hotel is within easy reach of Broadbeach's many restaurants, bars and shops, as well as The Star Casino and the Gold Coast Convention and Exhibition Centre. Broadbeach is just minutes from vibrant Surfers Paradise and is within driving distance of the Gold Coast Airport. Overall, the stay was great. Upon check-in and check-out, the lady who facilitated this was always happy and polite, ready to help with what she could. She is an asset to the hotel. Same with staff who service the room. Very apologetic for the late service, but super polite and courteous. Overall, the stay at the Sofitel was great. Highly recommend for it's location and people who work there. Makes the stay enjoyable. The hotel is very close to the convention centre. The hotel was comfortable. It’s near everything and is surrounded by good eating places. I really enjoyed my two-night stay at the Sofitel. The room was spacious with great views of the river and casino. The bathroom was huge with separate bath and shower (which doesn't happen many hotels anymore). Staff were very friendly and helpful. As always friendly staff and gorgeous facilities. My wife and I were on the Gold Coast and contacted the Sofitel at very short notice and the staff went out of their way to provide us with a room for the night even though they were extremely busy with conferences in the region. The location is excellent enabling us to walk to a multitude of restaurants, boutique shops, casino and Pacific Fair Shopping (always pleasing for the wife). The team also moved heaven and earth to enable us to extend our stay a second night and my wife and I appreciate their efforts. We will definitely stay again. Right from the moment of entering the hotel I was impressed with the attention given to me as a guest. We had arrived to early to check in, but were well looked after by the concierge. The room was very comfortable and the bed was wonderful. I had an excellent night sleep! We always enjoy our stays at the Pullman Resorts. Amazing staff and attention to detail, make the Sofitel my favourite hotel on the Gold Coast. Nice rooms. Staff good. Nice bar. Pool area great. Good breakfast. Bar manager very welcoming. Good breakfast choices loads of different things to eat. Very good gluten free options which had good signage. Public areas very nice. Think there is issue with aircon as slight musty smell on first entering room. Towels in bathroom huge. Super comfortable, it was my husbands birthday and the hotel put us on a high floor as requested. We also got an early checkin. The reception staff were lovely and all the housekeeping staff were attentive and welcoming. Our housekeeper Glory was efficient. Our room was spotless. The hotel also left a plate of hand made gourmet chocolates for my husband which was a special touch. Highly recommend this hotel. The breakfast and all facilities were excellent. Consistently a very nice place to stay. Only issue was a very firm bed. Both my wife and I did not sleep particularly well, due to the low comfort level of the mattress. High quality hotel, great customer service and top location.